If you’re in a pinch and need a really good deal on your next car, it may be an idea to head on over to your nearest police car auction. From time to time, the police service hosts auctions of confiscated goods – including cars – that cannot be returned to their original owners. Don’t fret! One might assume that these cars belonged to drug dealers or murderers, but that’s not actually the case. There could be many reasons why these cars were confiscated and they are not necessarily full of bullet holes! That means that you might just score a great deal on a sweet new ride! You may ask: Can I buy a police car? Well, if that’s what you want to do, you’re in luck! The surplus stock sometimes includes retired police cars and other equipment. Where are Police Car Auctions Held? In the USA, police car auctions are typically held onsite at your nearest police station’s impound lot. A professional auctioneer would be hired to handle proceedings, and the money generated will go to the department. How do car auctions work? When people are involved in any type of crime – white collar fraud, defaulting on loan payments, etc. – their cars may be impounded. In those cases, the cars may well be in excellent condition. In order to make space in the lot, and to recover some money, the police departments hold auctions. The price doesn’t really matter to them – it’s a matter of emptying the lot. The US Treasury Department holds approximately 300 Treasury auctions every year throughout the US. These auctions are held to sell property that have been forfeited due to nonpayment of Internal Revenue Service taxes of violations of federal law. Is buying cars at auctions a good idea? People who have attended police car auctions have been blown away by the deals they score. But everyone agrees: You must be prepared when you enter the junkyard for this epic bidding war. Since you’re not buying from a conscientious car dealer, but rather from an impound lot, you don’t get any of the guarantees and warranties and service packages you’ve come to expect from reputable dealers. But you’re getting cars for a tiny fraction of the price, which makes up for that. Still, if you don’t know anything – or anyone who knows anything – about cars it’s probably best to go to a dealer. You will not have an opportunity to take the cars for a test drive, so what you see really is what you get. However, these cars are typically in roadworthy condition and in good working order. Provided the engine is good, you can always give the car a little TLC with some of the money you save, and you’ll still have a good deal. How do you buy a car at auction? The first step is to find a police car auction near you. 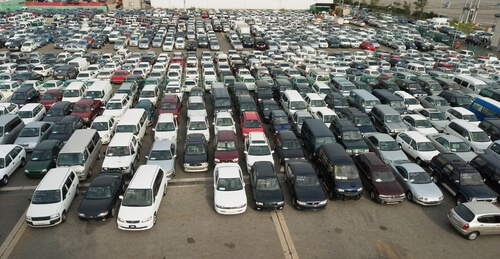 On the day of the auction, arrive at the junk yard early to check out what’s on offer. You may be asked to sign in at the front desk. When the auctioneer arrives, you will have an opportunity to bid on the cars you like. There will be many people and bidding might be cut-throat. Many car dealers attend these auctions. 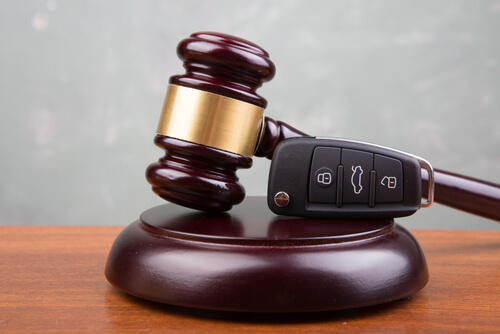 Some auctions require that you have all the money you spend to put down if you buy a car, while others will hold the vehicle for you if you pay a percentage deposit. However, you must be able to move fast, as you will have to return with the balance of the money in a specified time frame and you will have to remove your new vehicle from the lot. Are you ready to attend a police car auction? Well, to make your life a little easier, we’ve decided to list the top police car auctions. Our team scoured the internet for many hours to find you the best, easiest auctions and to save you precious time. Here they are! Simply click on the link to the left, and find out more about the police car auctions in your state or city. Police Car Auctions New York – The public is invited to attend live and online police car auctions hosted by the New York City Police Department. The NYPD uses an outside auctioneer (that also handles auctions for a variety of other police departments in the US) to auction a variety of high-end items, including vehicles, branded clothing, consumer electronics, rare coins, jewelry, and more. New Jersey Police Car Auctions – These auctions feature some exceptional seized vehicles at unbeatable prices, as well as well-maintained vehicles from the police fleet, which are fitted with awesome accessories. Police Car Auctions PA – The Commonwealth of Pennsylvania invites the public as well as dealers to attend their regular seized and used police car auctions at the Manheim Keystone Pennsylvania Auto Auction in Grantville. Police Car Auctions Michigan – The MiBid website offers a 24/7 live online police car auction. 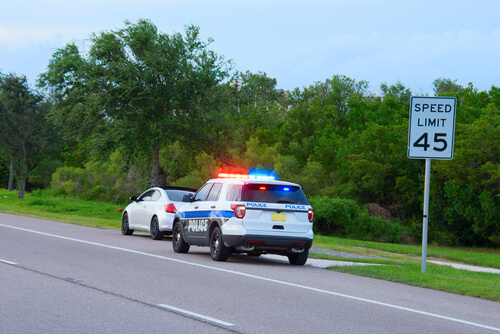 Police Car Auctions Florida – Bidera lists all upcoming police car auctions taking place in Florida. Police Car Auctions MN – Minneapolis hosts public auctions on the first Thursday of every month at the Impound Lot. Be sure to arrive early as registration is at 8am and inspection starts at 9am, leading to the official auction start at 10:30am. Police Car Auctions Houston – View a listing of all vehicles to be auctioned online, and attend the live auction at the storage facilities that report vehicles as abandoned and are open to the public. These auctions, which start at 8 am, are held daily at multiple locations. Police Car Auctions Texas – The City of Dallas Auto Pound holds an auction of abandoned vehicles every other Monday, or, if Monday falls on a public holiday, it will be held on the Tuesday. Police Car Auctions VA – If you’re in Virginia, you can attend any of the many police auctions available throughout the state, including in Norfolk, Prince William County, Portsmouth, and Mobile. Police Car Auctions Maryland – The Maryland Department of State Police works with Government Surplus Auctions to dispose of their found, forfeited and seized cars and other property. For inquiries, call Department Property Unit at (410) 799-1218. Police Car Auctions AZ – You can attend three live police car auctions a year at the Surplus Property facility at 1537 W. Jackson Street in Phoenix, Arizona after viewing the available selection online. Police Car Auctions NC – North Carolina State Surplus has an agreement with the North Carolina State Highway Patrol to auction surplus vehicles. The fair market value of all their surplus fleet vehicles is researched by a special retail protocol approved by the N.C. Division of State Surplus Property based upon the vehicle’s year, make, model, and mileage. All vehicles are sold “as-is” with no discounts, warranties or other incentives offered. Visit N.C. State Surplus Property, 6501 Chapel Hill Road, Highway 54 W. Raleigh, N.C. 27607 if you’d like to view the vehicles between 9am – 4pm Monday through Friday, except on state holidays. Police Car Auctions GA – The Georgia Department of Administrative Services makes surplus vehicles available to the public through internet auction providers. Police Car Auctions Bay Area – The Office of Fleet and Asset Management (OFAM) offers three public auction services, namely: online auctions facilitated by GovDeals.com, live Surplus Automative Auctions on the second Wednesday of selected months, and an online State Surplus Property Auction with viewing available weekly on Thursday afternoons between 1pm-3pm. For more info, contact [email protected] or (916) 928-5800. Police Car Auctions California – The San Diego Police Department uses an online auction company to dispose of unclaimed items, while the Montclair Police Department holds public auctions on alternating Mondays (excluding holidays) starting from 12pm at the Montclair Police Department impound lot, located on the south side of Richton Street, west of Monte Vista Avenue. Enter the west gate at the very end of Richton Street. Police Car Auctions WA – As many other departments, the Issaquah City PD sells their surplus property through PropertyRoom. The Fleet Services division of King County holds two live auctions every year in Renton, during spring and fall. The City of Seattle uses Bidadoo and MurphyAuction to sell their surplus fleet vehicles. Police Car Auctions CT – Connecticut also offers online public auctions for State surplus vehicles. Police Car Auctions Cleveland Ohio – For more information, please contact Cleveland Division of Police Vehicle Custodial Unit at 216.623.5342. Police Car Auctions Illinois – View a listing of the City of Chicago Public Surplus vehicles online, view the Clinton Auto Auction site for the latest news and listings, or bid online in the Illinois Department of Central Management Services auction in June. Police Car Auctions Oregon – The State of Oregon offers a range of options for people wishing to buy surplus property online or at the warehouse. 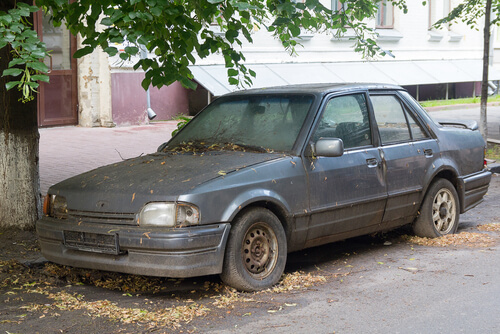 Police Car Auctions Denver – Attend an auction of confiscated and abandoned vehicles every other Wednesday at 9am at the Denver Sheriff Vehicle Impound Facility, 5226 Brighton Blvd., Denver, CO 80216 (York St. & Brighton Blvd., north of I-70). Police Car Auctions MA – Boston’s Police Department holds regular auctions, and you can view the listing online. Police Car Auctions Kansas City – Car dealers and the public are invited to attend auctions every third Tuesday of the month. Call 816.502.3318 for more information. Police Car Auctions Charlotte NC – The City of Charlotte’s Asset Recovery & Disposal (ARD) Facility invites the public and dealers to attend their auctions at All ARD Public Auctions are held at 5550 Wilkinson Blvd. Click on the link to the left for dates of upcoming auctions. Police Car Auctions Sacramento – The City’s Procurement Services Division holds an auction every second Saturday at 4751 Power Inn Road, Sacramento, CA 95826. Police Car Auctions Las Vegas – Clark County hosts three Government Surplus Auctions a year on select Saturdays at 8am at a storage yard located at 4320 Stephanie St. Need to ship your car to your home? Let NAT handle bringing your car home from the police car auction.